"Starting a Coffee Drive-Thru Business"
A 319 page E-Book packed with useful information, a must read for anyone planning on opening a Specialty Coffee Drive‐Thru business. "How to Get Profitable in the Coffee Business"
A 310-page E-Book (PDF download) packed full of useful information. It will help you evaluate your business so you can determine why you aren't making money, and it also provides a concise game plan to help you achieve or maximize your profitability. 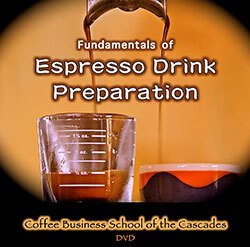 "Fundamentals of Espresso Drink Preparation"
This informative 47-minute DVD covers all the fundamentals of understanding espresso equipment, how to produce perfect espresso, how to create beautiful milk foam, making basic espresso drinks, and equipment cleaning and maintenance. Commonly made mistakes are shown, and typical portions for espresso and flavorings are provided. This is the perfect tool for expanding your understanding of the espresso beverage preparation process, and will save you countless hours spent on employee training. $29.95 Free Shipping in U.S. Allow 10-14 days for shipping in U.S., 2 to 4 weeks international; buyer responsible for payment of any applicable Duties or Customs charges. Construction ready architectural plans for your choice of one of three ergonomically efficient building designs.